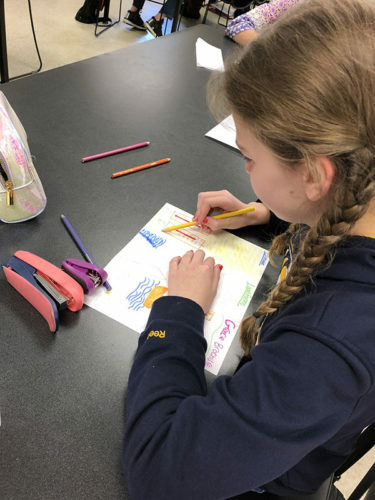 The Intermediate School had a 3-week fund-raising campaign for the Leukemia and Lymphoma Society, called “Pennies for Patients’. The money collected goes to patients and research of blood-related cancer. The Intermediate school managed to raise a total of $810.61, of which $691.61 were coins. The 6th Grade was the champion collecting $473.82, the 8th grade came in runner-up with $222.37. 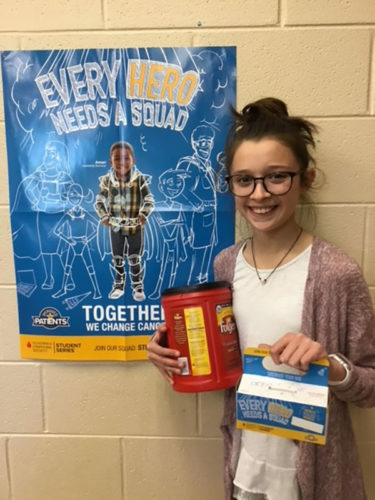 The highest donor was Chloe Jenkins who brought in $179.86 worth of coins. Thank you all for your effort in rounding up all the loose change. 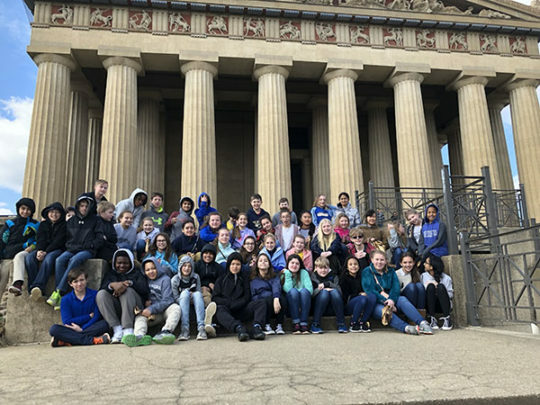 Sixth Grade finished their Unit on Ancient Greece by traveling to Nashville for a tour of the Parthenon Museum at Centennial Park. 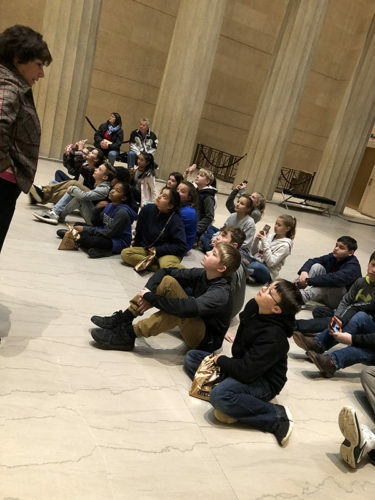 Students were shown the giant stage of Athena and learned information about the construction of the Parthenon and history of the structure. Many stories of Greece myths and Legends were discussed during our tour. 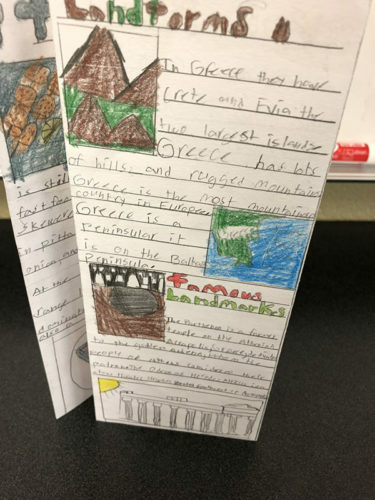 As a culminating project, students are creating travel brochures to highlight a trip to Greece. The Math Team had the following Award recipients. Avery King (8th grade) and Drew Miller (4th Grade) are in the Top 15% in Nation and Anna Hellums (5th grade) is in Top 10% in the nation! Congratulations to these students. Several Intermediate and Upper School students shared their talents in the annual Talent Show on Friday, March 26th. 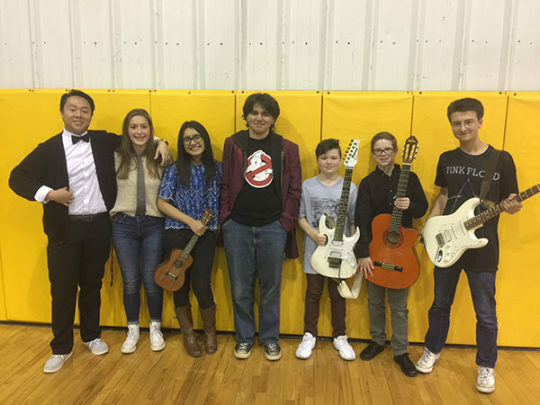 Pictured from left to right are Justin Gao (12) piano, Summer Long (11) comedy, Dulce De La Rosa (11) singing and ukulele, Tyler Jones (11) singing, Trevor Boling (6) guitar, CJ McGowan (7) singing and guitar, Ben Truex (11) guitar. These students rocked! The CA Talent show is a prom fundraiser for the junior class. Every Wednesday night at Firehouse Subs. Please go by either the Madison Street store or the Wilma Rudolph store and let them know you are with Clarksville Academy. Clarksville Academy will receive 15% of the sale. Every Wednesday night is Clarksville Academy Night at Firehouse Subs. 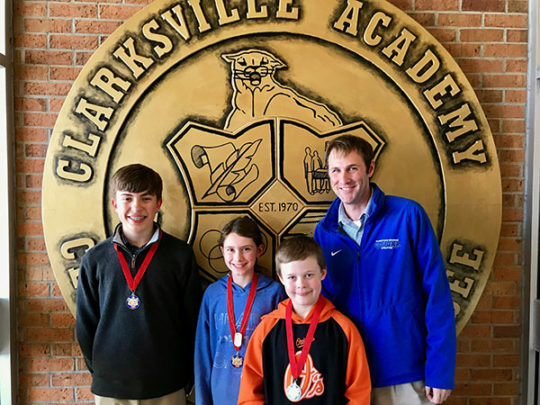 Clarksville Academy Association (CAA) is the parent volunteer association of Clarksville Academy. 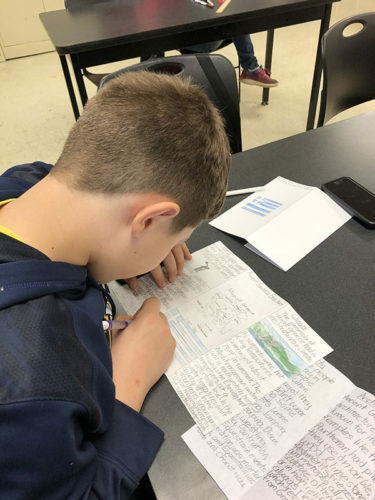 There are many opportunities throughout the school year for parents, guardians, and grandparents to get involved by volunteering your time and/or contributions. We certainly hope you will join us in making CA an even greater place for our children, faculty and staff! Please contact Beth Mabry on how to get involved. bethfmabry@gmail.com. Please like us on Facebook—Clarksville Academy, follow us on Twitter—CACougarsTN, and on our new Sports Information Twitter—CACougarsSports. Throughout the year if you take photos at various school events and would like to submit them for possible use in the yearbook or for marketing purposes, please send them to photos@clarksvilleacademy.com.